Anywho, I have seen such cute stuff this week and met quite a few new bloggy buddies. Also, did anyone notice we are gettintg closer to 100 followers? I am thinking that another giveaway is instored. I am thinking a fun summer tote or something. I will see what I can come up with for you. All you lovelies deserve it. You make blogging so much fun! 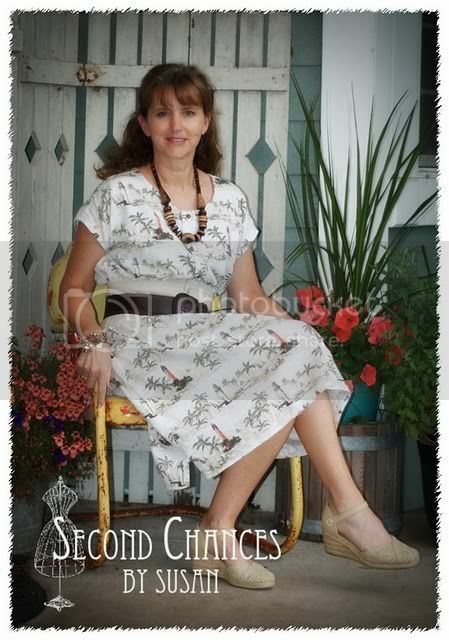 Susan at Second Chances by Susan has an awesome Shirt dress. I am loving the summer feel to this one. 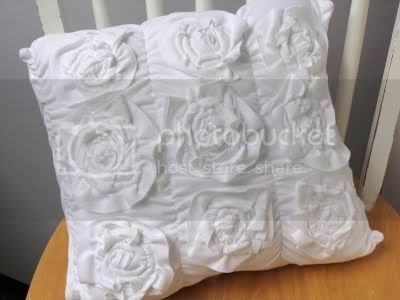 I can't believe it is only made from 2 men's shirts. Love it! 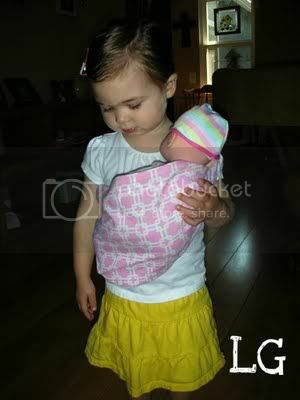 Can you believe how adorable this baby sling is from The Little Giggler. Amanda is always amazing me with her cute ideas. 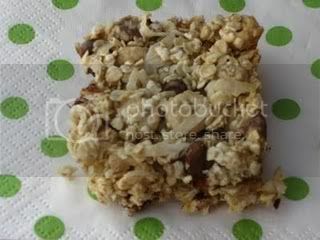 Tasha, from One Day at a Time, shared a yummy no-fail granola bar recipe this week. I really need to make some of these. I think my littles would love them. Thanks so much Danielle for featuring me on your blog today! Make sure you check tomorrow for my "Scrumptious Saturdays" post. Something yummy in store! I'm grabbing a button now! Danielle, thanks so much for featuring my dress today...that was very sweet! I already grabbed a button! Everything is so great. Thanks for sharing..